The holidays can be stressful, regardless of food restrictions. Throw in Celiac Disease or a food allergy and things can get confusing, fast! We here at Full Flavor Foods want to provide you with products and tips to make your family celebrations as safe, delicious and joyous as possible. May you gobble, gobble to your heart’s content! For those who are eating gluten-free, make sure that you are purchasing a bird that has no gluten-containing ingredients in the brine. Honeysuckle turkeys are excellent in this regard. In addition, whether you call it stuffing or dressing, it’s best made outside of the bird. This saves you from risk of food-allergy cross contact as well as bacteria from the bird. When it comes to mashed potatoes, freshly made potatoes are the way to go. Making gravy for it all has never been easier with our Turkey Gravy mix. Just whisk our mix with water, bring to a medium boil, and enjoy! For those following a gluten-free diet, casseroles made with canned soup have become the bane of our existence. Well, our naturally delicious Cream of Mushroom Soup mix has put casseroles back on the dinner table! Just prepare our soup packet according to directions and substitute it for the can! If you can’t find gluten-free French Fried Onions (try Aldi), try crushed potato chips, seasoned with onion powder. 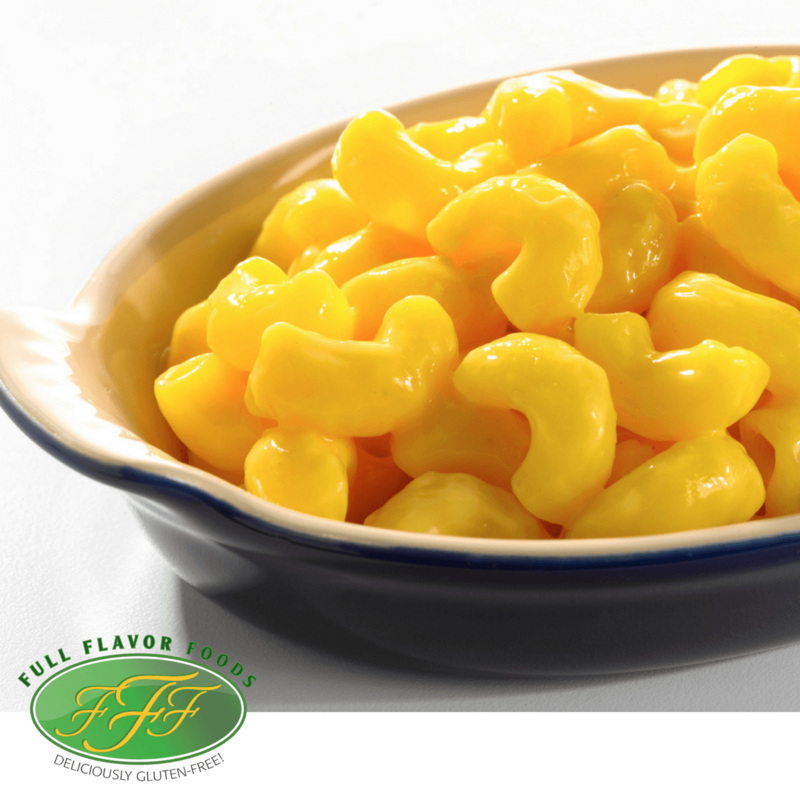 In some cultures, a family gathering isn’t complete without macaroni and cheese. It’s a dish that’s easily loved by young and old alike! Our cheese sauce mix will make this family favorite come together in a snap. Simply prepare as directed and combine with your favorite cooked gluten-free pasta. Take it up a notch more by placing it in a casserole dish and top it with gluten-free bread crumbs for a hearty crunch. After family, leftovers might be the second biggest blessing of the holidays. So what to do with all that leftover turkey? 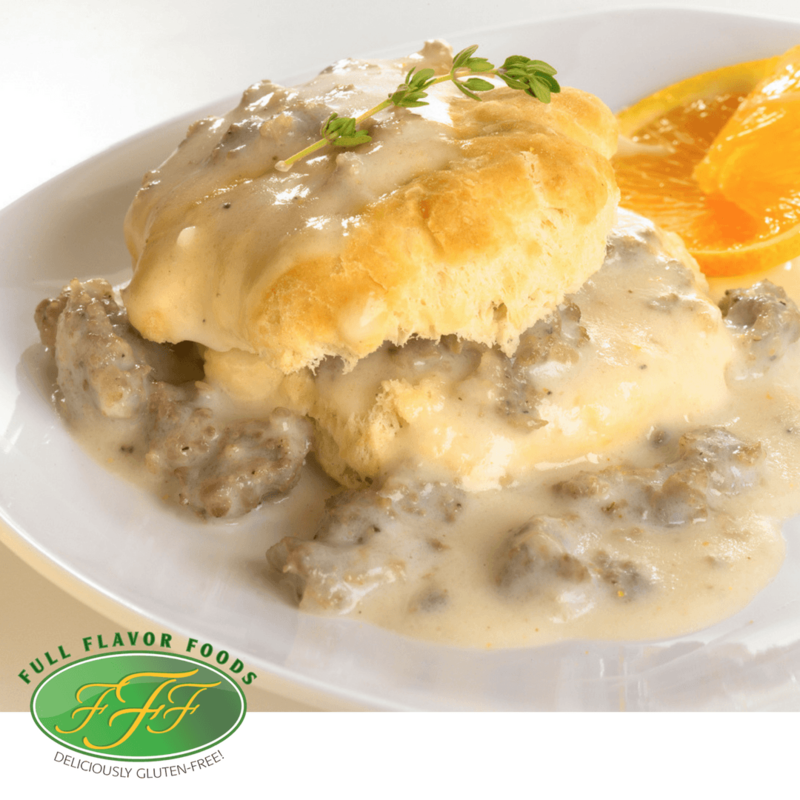 How about biscuits and gravy! Whip up a batch of our Cream Soup mix, add a dash of pepper (or other favorite seasonings) and add your leftover dark turkey meat instead of the usual crumbled sausage. Serve over gluten-free biscuits or bread and you have a meal that will truly satisfy. 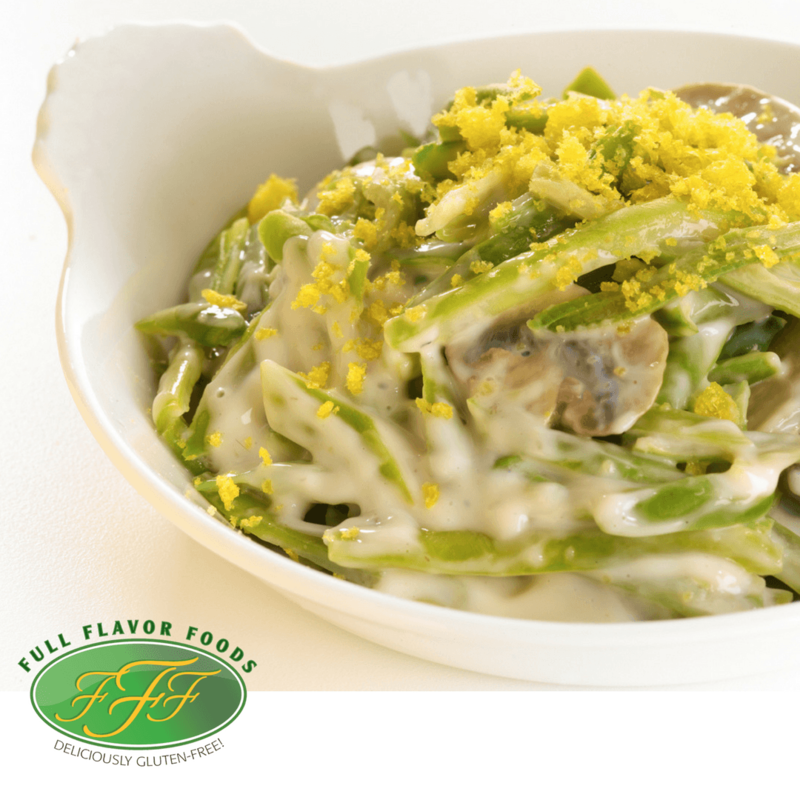 You can also use the recipe booklet on our website to make a delicious Turkey Tetrazzini with our Turkey Gravy Mix! Full Flavor Foods is a family-owned business with a passion for gluten-free food made necessary by long-time personal adherence to the gluten-free diet. We also have an extensive foodservice manufacturing background specifically in the creation of delicious soups, sauces and gravies. This unique combination of life experience gave us the ability to create and offer the most naturally delicious gluten-free soup, sauce and gravy mixes available.